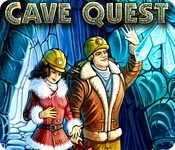 Cave Quest is rated 4.7 out of 5 by 55. Rated 5 out of 5 by booboo12998 from Tons of fun! I loved this M3 so much that I hope they come out with a Cave Quest 2! This is not your run of the mill M3. Even though they have you going back and forth finding items, it's not bad (like HOG's are) they give you plenty of help throughout the game. This one was tons of fun! Rated 5 out of 5 by tutortime from Loved it. Great Match 3 game. Fun and easy to play. Great game to use your free game code on. Rated 5 out of 5 by hawkpaul from Fantastic twist on match3 I love this game. The match 3 is just a part of it, mixed in with a storyline with puzzles that you sometimes really have to think about. I finished it in a few days but was so hooked I sat playing for ages at a time, just trying to get the next clue or object and work out what to do with it. The match 3 is generally pretty easy but this game is so much more. I hope there's a second game in the pipeline. Rated 5 out of 5 by verimeri from too short It only took me a few hours to finish the game but those were a fun few hours. So much more to this than your usual Match 3. Take your time- figure it out- is great game. Rated 5 out of 5 by TubularGames from Match 3 with a twist For all BF gamers who like Match 3 but want a little more this game is a must. Yes you Match 3 items but you also battle it out with various baddies, sort out an evil king and queen and go shopping! Where else could you do all this! 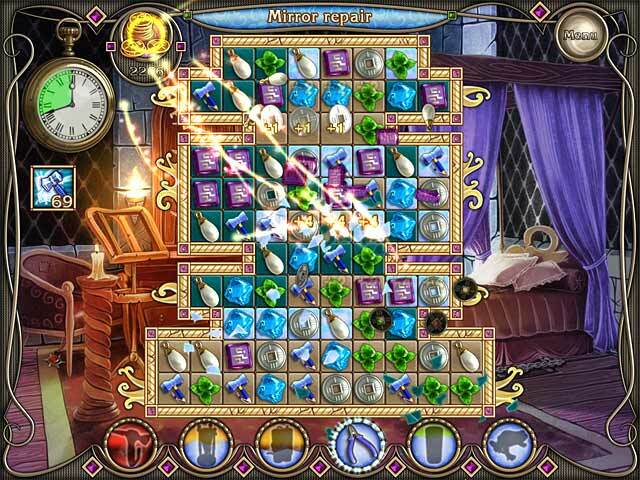 The game play is very smooth with great graphics, particularly the explosions. 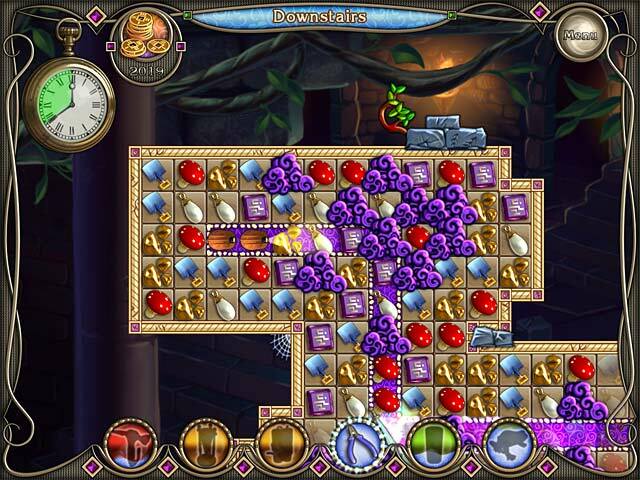 The game is suitable for all levels of skill and its pace ensures you are engaged at all times. I know the game has been out for sometime but it is a great addition to add to any BF game collection. Rated 5 out of 5 by DiDi212 from Best M3 Game. Based on the demo I can't wait to play it to the end. This is the only M3 game I've played that actually has what seems to be a great story. I'm playing in the relaxed mode. There are 2 types of M3 -- the standard which I prefer and then another where you move along a trail -- not my favorite type. There seem to be more of the first type. Play the demo and I think you might really like this little jewel. Rated 5 out of 5 by KWLea01 from My first review as a 5yr BFG member! When I saw this game as the daily deal I was reminded of how much I loved it when it game out. I will play it for the 4th time after I write this! Fun Game! I really enjoyed the interactive components. Most were unique to the match 3 genre. I found the storyline, the side-games and the ending to all be delightful surprises. If you're looking for a fun distraction with a bit of a challenge I highly recommend this game! Rated 5 out of 5 by Ziggy_Zigster from The developer(s) of this game sure were not brought up in a cave! This is one of those match-3 games with a lot of added elements. There is a decent storyline and the graphics are good, considering. When I saw the high rating this game has, I decided to DL the trial since it's part of the 'daily deal'. I waited until the trial was over before I purchased it. Only because I got so engrossed in the game before I knew it, the hour was over. As I mentioned, there are added elements. Like most match-3 games, there are power-ups available that you purchase in the shop (which you get access to as the story progresses). There is a 'map' which shows you different areas of interest and lets you know where actions are available. You then have to play a match-3 level in order to reach the goal of that location. 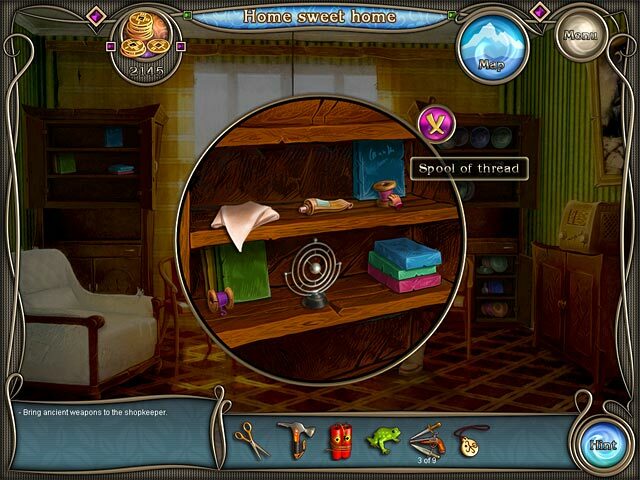 There are also a few hidden object elements as well, though not enough to qualify it as an HOG. There are numerous quests to complete as well, like finding certain items in different locations. What I like most about this game - is the different ways the match-3 levels are played out. With some, you have to lead your people through a maze (match-3 level) or you have to move certain pieces to the bottom of the board etc. There is also a 'battle match-3' part too. It's really got a lot of variety in it which means lots of gameplay. Rated 5 out of 5 by bubbyc from A Hidden Gem I used my free game credit on this one and boy did I get my money's worth. It was an such a unusual combination of match 3 and adventure, I loved that you could chose which cave to go in and what items to buy. I really hope they make a sequel.